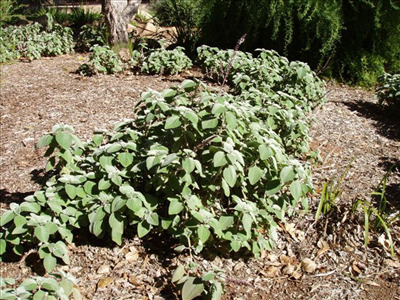 Handsome low growing shrub approx 3-4'x5-6' with silvery-velvet broad leaves with white flowers appearing in spring-summer & sporadically throughout the year. 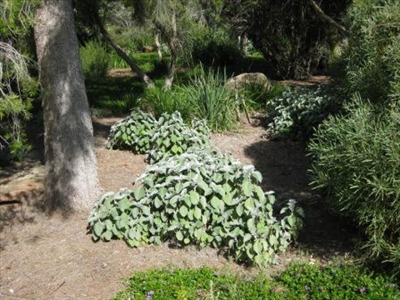 Plants prefer well-drained soils in partial shade but will grow in full sun. Needs hard pruning every couple of years. Quite drought tolerant but will tolerate regular summer watering. Hardy to light frost. Good background shrub. Propagates easily from cuttings.